Sequoia India is going deep into early-stage investing after it announced an accelerator program, Surge, which is focused on fledging startups in India and Southeast Asia, the two regions that it covers. 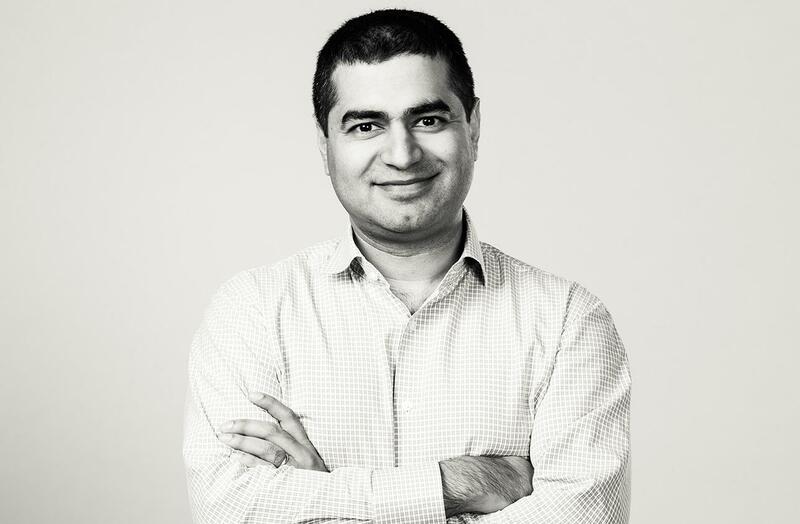 It’s been nearly six months since Sequoia India closed its newest $695 million fund — its fifth since its establishment 12 years ago — and with over 200 deals under its belt, it is going earlier than ever before. The Surge program is designed to work with a mix of companies; that could include founders with just an idea, to those at pre-launch or pre-seed, businesses with an existing product-market fit or even startups intending to pivot, Sequoia India managing director Shailendra Singh told TechCrunch. Singh explained that the program is a result of extensive research. He said Sequoia India talked to startups, founders and investors, and that a series of Twitter polls he conducted last year show founders in India and Southeast Asia are too frequently under-capitalized, over-diluted and forced to spend too much time on the fundraising trail. “We decided there is a better way,” Singh said. So what is the Sequoia India solution? Surge is aiming to recruit 10-20 companies per batch, with two cohorts running each year for four months each. Perhaps the most notable feature is that selected companies will receive a $1.5 million investment from Sequoia, with the option to raise more from the firm and other co-investors in a final “UpSurge” demo week that concludes the program. Participants will, however, need to pay a “program fee” although that is being waived for the first cohort. That first program is scheduled to run in March and applications are open now, although Sequoia has already picked a small selection for the first program. While the focus is local startups, China-based startups looking at India and Southeast Asia and U.S. startups seeking an Asia will also be considered, the firm said. Singh said equity will be negotiated on a company-by-company basis, but he anticipates that valuations will be will be in the range of “high single-digit to high-teens” pre-money. There’s no obligation for a Sequoia follow-on, and Singh stressed that a “curated” selection of investors will be invested to invest in the post-program round and even alongside the initial $1.5 million check. The program is quite unusual in being globally distributed. That’s to say that it is split into five ‘modules,’ each of which is hosted in a different city which taps into Sequoia’s global presence. That’ll include Singapore, China, India and Silicon Valley. Singh said each module will require founder presence for a week, when they will work together with Sequoia — including the firm’s AMP program — Surge mentors and others, before taking the learnings back to their company for the remainder of the month. The only exception is the final month, which will include an additional week for the demo segment. Sequoia India has tapped its portfolio companies and other Sequoia investees to pull an initial list of mentors that include Nadiem Makarim (Go-Jek), Rajan Ananadan (Google), Byju Raveendran (Byju’s), Neeraj Arora (WhatsApp) and Kunal Shah (Freecharge and now Cred). Singh said more will be added after the public launch. He added that Sequoia India is hiring dedicated Surge staff to work exclusively on the program. For now, the budget for the program will come from the India fund but, in the long term, Singh said a dedicated Surge fund could be created. That could be necessary given the potential costs from the program. The focus is fairly vertical agnostic, Sequoia said, with a focus on the teams behind companies. When I put it to Singh that Sequoia’s move into early stage puts it into competition with the very up-stream, seed investors that it works with to get Series A deal flow, he argued that Sequoia is already very present in that segment. Pointing to a recent LinkedIn post — which reads like a precursor to today’s announcement — Singh said one-quarter of its deals have been with startups valued at $5 million or lower, with 64 percent at $10 million or lower. “We’ve made seed investments and collaborated with other firms in the past. We’ve already spoken to a few friendly firms and they are excited to be involved,” Singh said. That may well be true for some firms, but I can’t help but feel that others may be intimated at a deep-pocketed investor playing in their backyard. In such a case, there’s little more than you can do other than play along. That said, Singh seems genuinely keen to build links between Surge and other VCs at all levels. “It’s not about us or them but what’s good for founders,” he explained, adding that Sequoia will “actively” work with firms to involve them in the program. It’s definitely a fascinating move, and it is certainly one of Sequoia’s boldest strategies worldwide. It is too early to say if it will be replicated by Sequoia other global funds, but they will certainly be watching, as Singh himself admitted. You can find more information about Surge here.